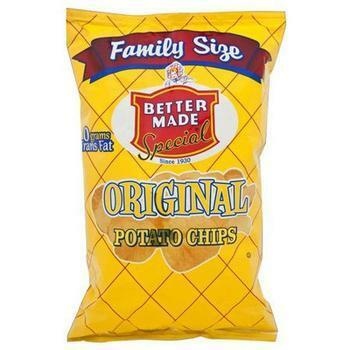 Better Made Snack Foods of Detroit, Mich., is recalling 10-oz. packages of Original Potato Chips. The recalled product, with the use by date of 10 AUG 201910 and UPC code 041633063048, was sold in retail stores nationwide and through mail orders. Consumers with questions may contact Better Made Snack Foods at (313)-925-4774 Monday through Friday from 8:00am to 4:30pm.